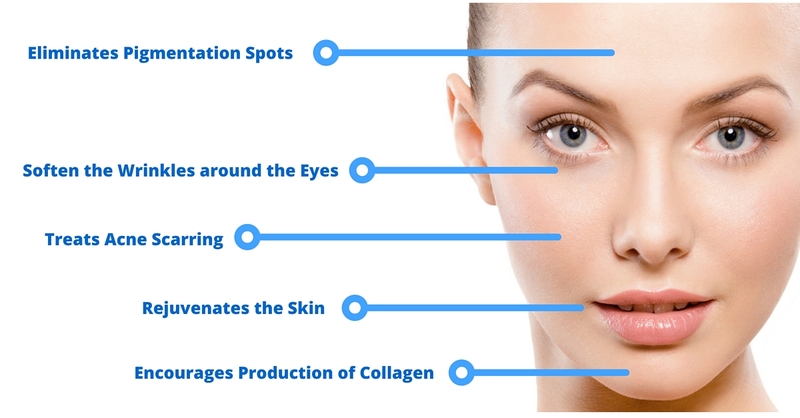 Micro -Needling, also known as Collagen Induction Therapy and Derma Rolling can safely be done on all areas of the face, including both the upper and lower eyelids. Micro Needling is a non-surgical, non-laser, non-ablative and minimally invasive cosmetic procedure suitable for men and women of all skin types and ages who are seeking a solution for loss of firmness and fine lines of the eye area. Micro-needling treatments of the eye area usually show great improvement in skin texture, firmness as well as lessening of elasticity. The skin around your eyes is the thinnest part of your face, so using a conservative depth is needed for safety. Caution around the delicate eye area is mandatory as this treatment should only be performed by a medically trained specialist. Compared to fractionated laser treatments, medical micro-needling not only spares the epidermis, it strengthens it. Micro-needling has less recovery time than traditional lasers and provides a quicker healing time since there is no heat involved in the treatment. Patients at Lasting Looks Anti-Aging & Laser Clinic find that their eye area is visibly rejuvenated even after their first treatment. Within a few weeks patients will experience continuous improvement as collagen and elastin rebuilds deep within the skin.